As many of you know by now, I like to race...a lot. Last year, I ran 15 races, and this year my goal is to run 20. I like to use races as training runs, as practice for larger races, or as a goal race. I love running races of all lengths- from a 5k to a full marathon and everything in between, and on every surface possible- tracks, trails, roads. One type of race that I've never done, though, is a VIRTUAL race! To be honest, I never heard of virtual races until last year. I figured for it to be called a "race", other people had to be involved and there had to be a set time and place. Lately, though, virtual races are the next big thing and I can understand why! - You can select your own course. When you're running a race, you might not be running in your ideal location. While I prefer hills and running near water, other people prefer a pancake flat race on main roads. Someone else might do better on trails winding through a countryside. With a virtual race, you can choose where you run to help you do your best! - There are no big crowds to deal with. Some people like huge crowds at races, but there's also a lot of hassle that goes along with that. Think about how much time is spent looking for parking, waiting for a porta john, and standing around in a corral waiting for the starting gun to go off. Then, you start to run and have to dodge people and waste precious time and energy zig-zagging all over the road! Now, you can just pick your place, not worry about parking or getting to the starting line on time, and use a real bathroom. - You can carry anything you want! Most races have strict restrictions now about headphones, backpacks, etc. With a virtual race, you make the rules! Heck- you can have a pacer with you or push a stroller! In fact, some virtual races even allow you to run on a treadmill. Pretty awesome if you ask me. - Pick your own date! I like to do my races and long runs on Sundays, but other people like Saturdays. Heck- some people even like doing their hard runs during the week, but where can you find a race that allows the option to pick a day?! And how many times do you wish that you could move the day of a race because race day is rainy or 20 degrees warmer. With virtual races, most of the time you can complete the race any day within a certain period. Who else is doing this race?! This is such a great post and is so needed! I'm a Race13.1 ambassador and I saw that they had virtual race options and honestly I was a little confused at first, but the cool part is that they still send you a medal and tshirt after you complete it, but you can run it any time and anywhere. I don't know if they are right for me just because the whole hype and competition of a race is why I do them so going out by myself would just feel like a training run and I probably wouldn't PR! But I still think they are very very cool and have their place for a lot of runners! Thank you Margaret :) It definitely confused me at first as well so I had to do some research! I am starting to do more virtual races for the same reasons! I love the flexibility and they often have super cute medals. I'll be doing this virtual race as well. My favorite ones are the Hogwarts Running Club virtual races, mostly because I'm a Harry Potter nerd! I have run 1 virtual race. I still don't have the medal on display or wear the shirt. I feel like a fraud. I essentially used a training run and called it a race. I race for the environment, for the unknown conditions, for the thrill of having people make me work harder. To go run with no real finish line in sight, no crowd support, no rules, no unforeseen circumstances...I am rewarding myself for a training run and I can't do that. I train to race and I can't do that on my own or it is just me saying I raced and another cheap way to have a medal. I can't get into it. I am not in it for the bling...I am in it for the experiences and memories made at a full blown real race. I can understand why you would feel that way. I know some people prefer doing virtual races, especially if they're starting out and are too intimidated to run a big race. It all depends on the person! Plus, some people ARE in it for the bling and to accomplish a goal, so it might be right for them- not for you! I've seen virtual races...but I can't get into the concept. I love the race atmosphere. Not the line for the port-o-potties, but it's part of it all. I feel like part of the point is that the race is run on one specific course. Is it really a race if the playing field isn't level? I love having physical people to race & pit myself against. Doesn't seem worth the $$$ for me. I don't do anything with the medals & I like my t-shirt to have a story behind it. I can see your side! Virtual races definitely aren't for everyone. I've never done one so I'm excited to see what it's all about! For some people, this might be their only option to run a race, so for that I think they're a great idea! 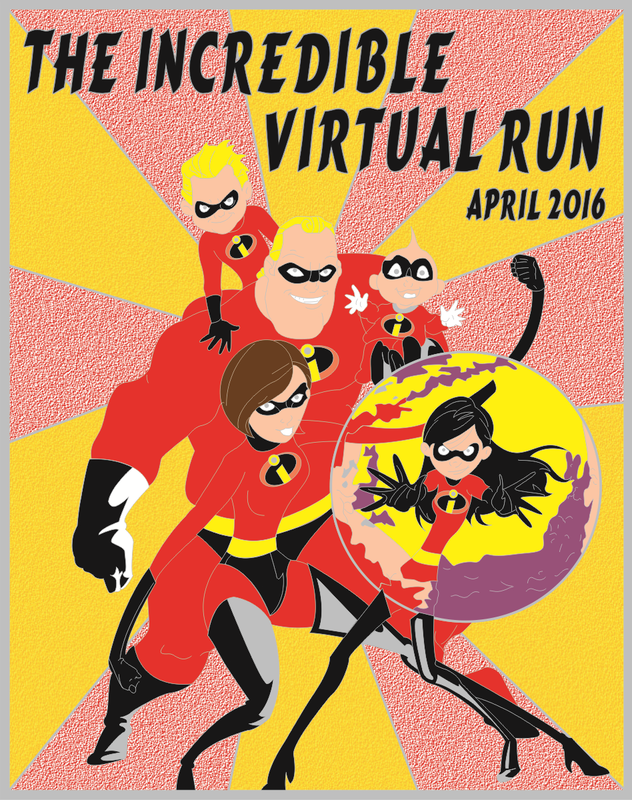 I have not participated in a virtual race yet but would love to. However, I find a lot of motivation running with participants during a race and fear that I will find it more difficult to run alone. Same for me, so I'm excited to see how I can do just by pushing myself with no outside help! Back when I helped coordinate non-profit events we offered a virtual rider/runner/walker option for fundraisers and it was really popular! I love the idea, personally! It was a great way for people to participate in an event that they may have been doing for many years, but couldn't that particular year for whatever reason. I can see how virtual races have appeal for people who don't have easy access to races (work/life schedules, travel time, family obligations, etc) but still want to be part of an event, and I think they're great in that regard. If people enjoy them and find them meaningful, more power to them! Personally, I can't get excited by the idea of a virtual race and I'm not sure I'll ever do one. Oddly enough, even though I'm an introvert, racing for me is more about the race environment and the shared experience than it is about the medals and tshirts. I can push myself to levels in races that I simply can't achieve when I'm running by myself. I've never done a virtual race, but it sounds like an interesting concept! Most races I sign up for are half marathons, mostly because I like that the pace is pushing it, but not all out. I also sometimes struggle with spending $30ish on shorter races like 5ks. Sadly, because of this, I have no idea how fast I could go if I really pushed myself in a 5k. I agree-half marathons are a perfect distance for racing! Ooo!! Virtual runs sound like fun, but I have yet to try one. I want to do a Harry Potter Virtual race, but I'm waiting for a Snape or Remus themed race... right now they have an Umbridge, and I'm not feeling it ! I haven't heard of that one, but it sounds like a ton of fun! Virtual races sound convenient but I don't think I would push myself as hard as I would in a real race against people beside me. I love racing later in the day. I did one in the evening last summer at UBC and then we had a big BBQ after. I'm going to use this as my last "test race" before my marathon. I'm running a really small one without pacers or big crowds (heck, the streets aren't even closed) so I think doing a virtual run will help simulate that experience and will hopefully help me out on race day! This is super interesting! I've never ran a virtual race but I'm starting to hear more about it. My mom actually did a virtual 5k a few weeks ago. There was the race a few towns over but she didn't want to drive there just to do it alone so she signed up and did it virtually on a track. She really liked it! I've realized that I run so much faster in races (shorter ones.. like 5ks/10ks) than I do during training runs because I get competitive running with others. So I'd be interested to see how I'd do in a virtual race. It's a neat concept! That's great that she could still participate virtually! Go mom! I did a virtual 10K race with Nuun last summer and it was fun, but I certainly didn't push myself as hard as I would have in an actual race. Although my competitive side thrives on the race atmosphere and having other runners to chase down. I do think they're great for runners who have unique schedules or live in areas without many races, though! I totally agree with you. I'm not expecting a PR, just hoping to push myself one last time before my marathon! There are no races around here in April that will help me get that last "race" in, so I thought this was a great opportunity to practice fueling and pacing before the big race! this is so awesome. i have heard of virtual races, but have never done one. to be honest, i quite like the race atmosphere, though i don't do them that often because they can really add up. We use to participate in quite a few virtuals but have since backed off for a while. Maybe now that the weather is nicer we may participate in more. I remember that you both like to do virtual races! I've never done a virtual race but it sounds right up my alley! I bet this would be PERFECT for you! I love virtual races! They are a great way to try out a new distance or practice for another race. fun! I need to get on board with this! Sounds like a lot of fun! I think virtual races are great if you don't have a lot on your calendar. I finally had to stop doing them as I don't need anymore bling or t-shirts and I run way too many real races LOL.